The last field trip in Tokyo, this one was about looking at architecture of buildings in Aoyama and Omotesando, one of the more upscale areas of Tokyo. 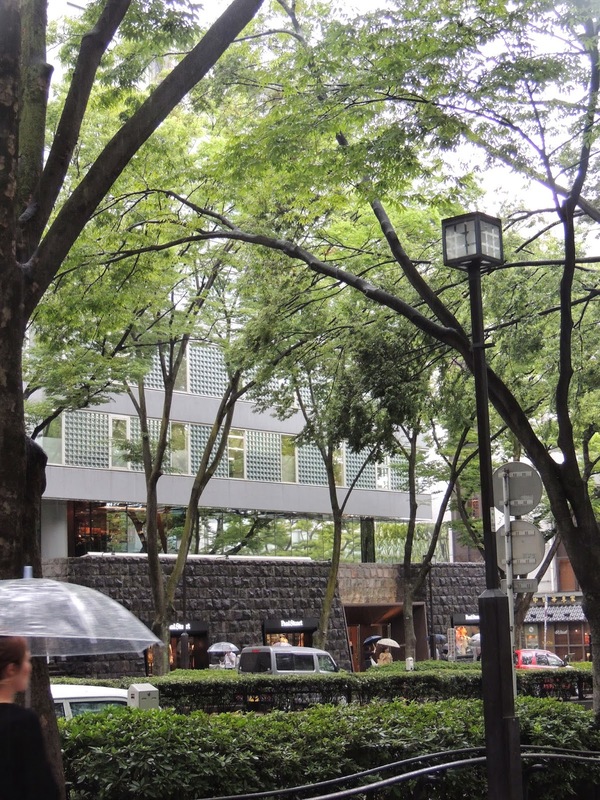 Omotesando, commonly known as the architect’s playground, is clustered with buildings of innovative designs. It was amazing to walk around the place with the professor telling us about each of the interesting and popular buildings. Although it’s difficult to ignore the uniqueness of the buildings in Omotesando, it is easy to get distracted quickly by all the fancy stores and tiny alleys that lead towards the Shibuya area of Tokyo. 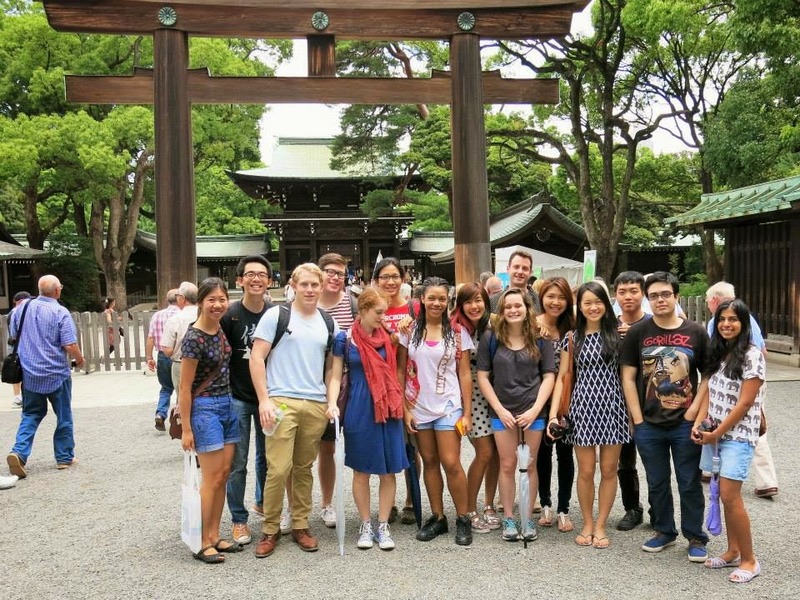 The whole group at the Meiji shrine, which was built in 1921-the pebbles on the ground are meant to keep more plants and trees from growing so that visitors have a walking path to the shrine. 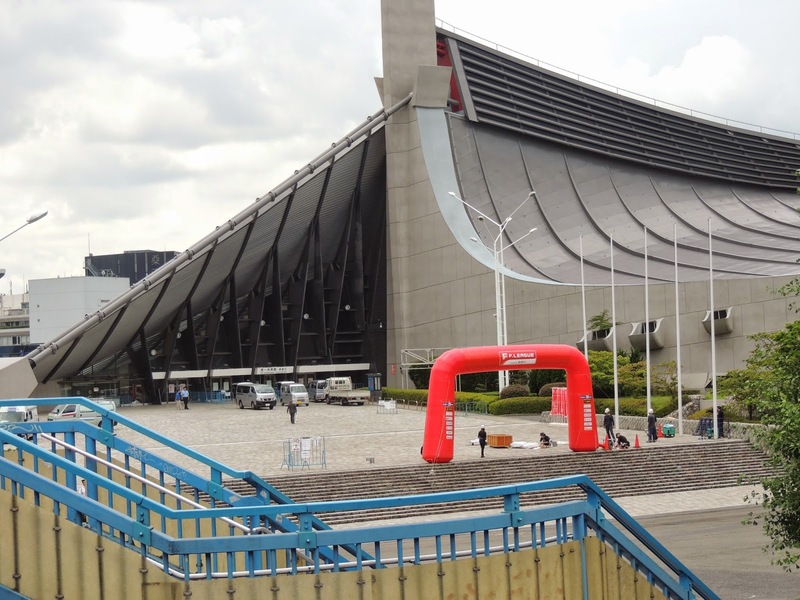 The National Olympic Stadium-built for the 1964 Olympics. 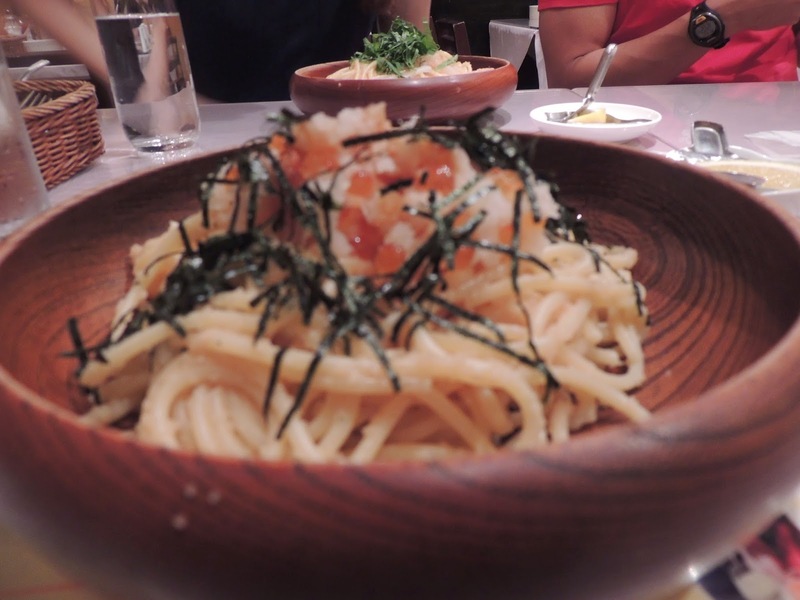 We make a stop for lunch at an Italian place-I ordered a cod-roe Japanese pasta. 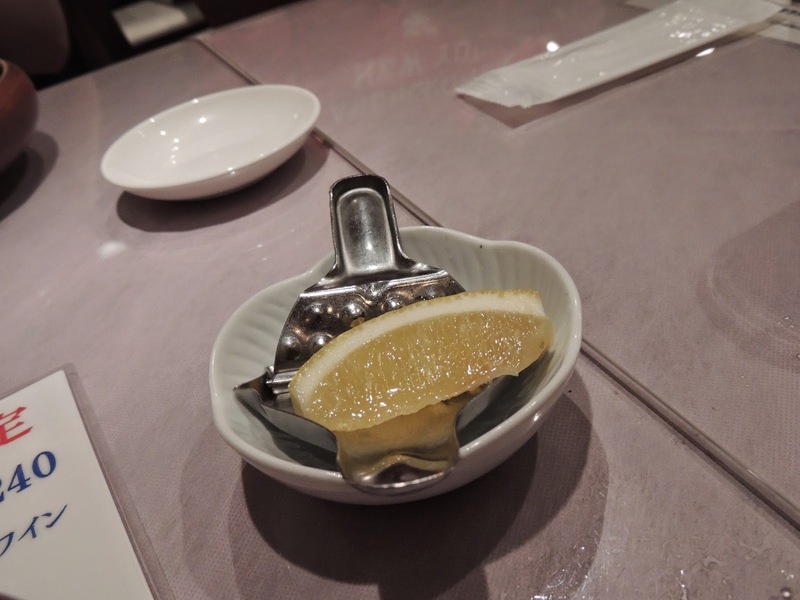 The pasta came with a lemon squeezer-so nifty, isn’t it? Ahh Japanese technology. 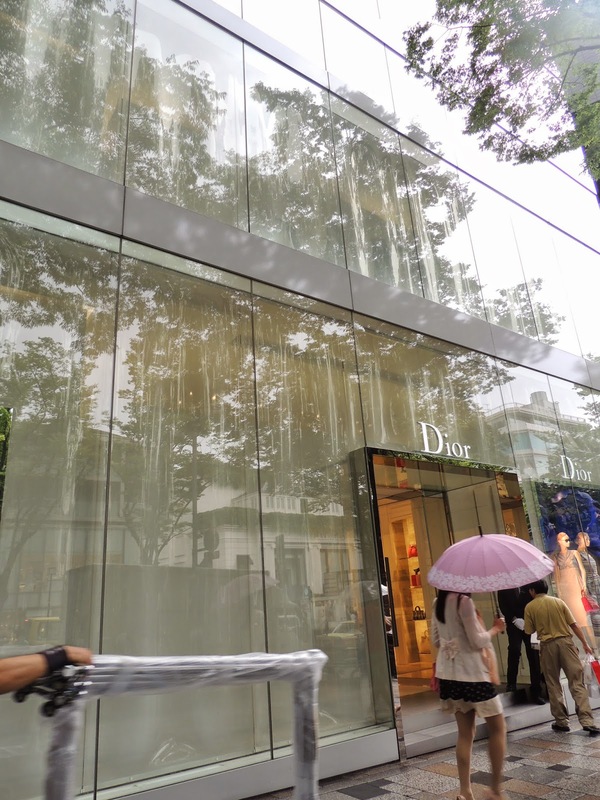 The Dior building in Omotesando, like many other buildings in the area, has covered windows so as to give some privacy to the shoppers inside and raise the exclusivity and enigma of what’s inside the store. 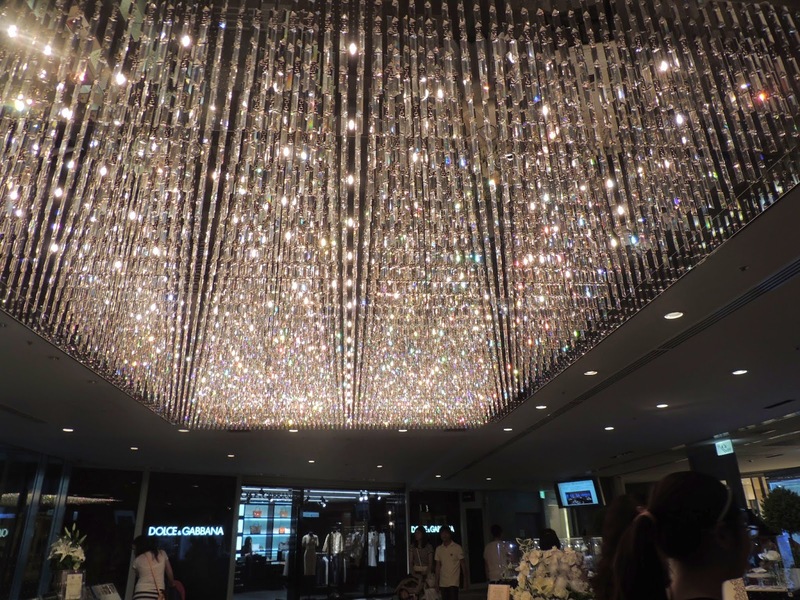 The celebrity of Omotesando: THE PRADA BUILDING!This building has no walls. It’s all diamond shaped windows. The glass of the windows is made of different kind of glass-some are concave, others are convex and the blurred ones are mirrors on the inside. 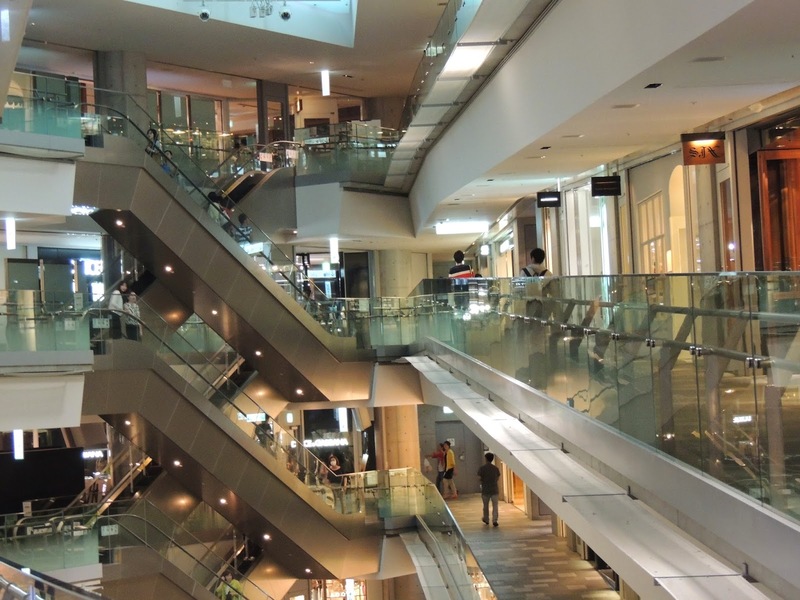 There are no price tags on the products inside the building. The people who shop here presumably don’t care about that. 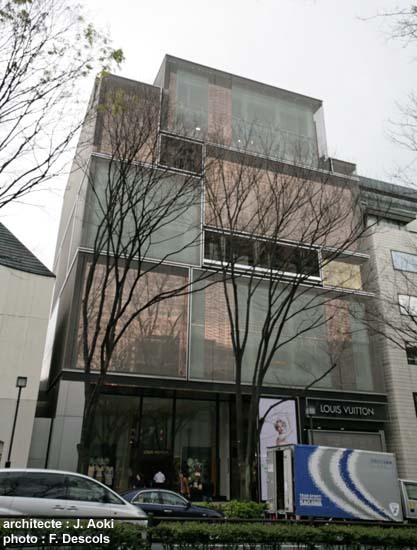 Although Omotesando Hills deceives you into thinking that its just two storeys from the outside, it has 5 or 6 storeys in total fitted inside. 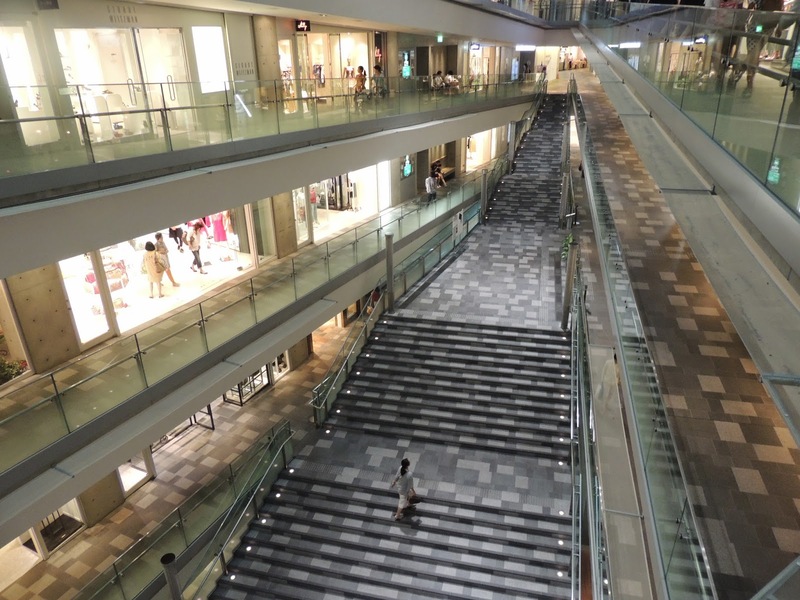 The corridors of Omotesando Hills are sloped upwards. It spirals up, so you needn’t take the escalator to go to another floor. You can simply walk up. 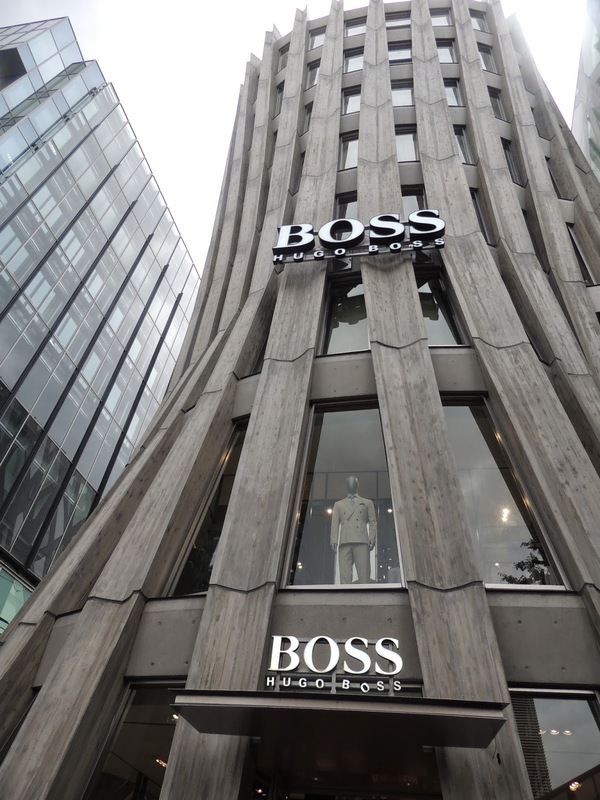 Omotesando Hills has a triangular structure to it. Notice the stairs becoming narrower near the top. 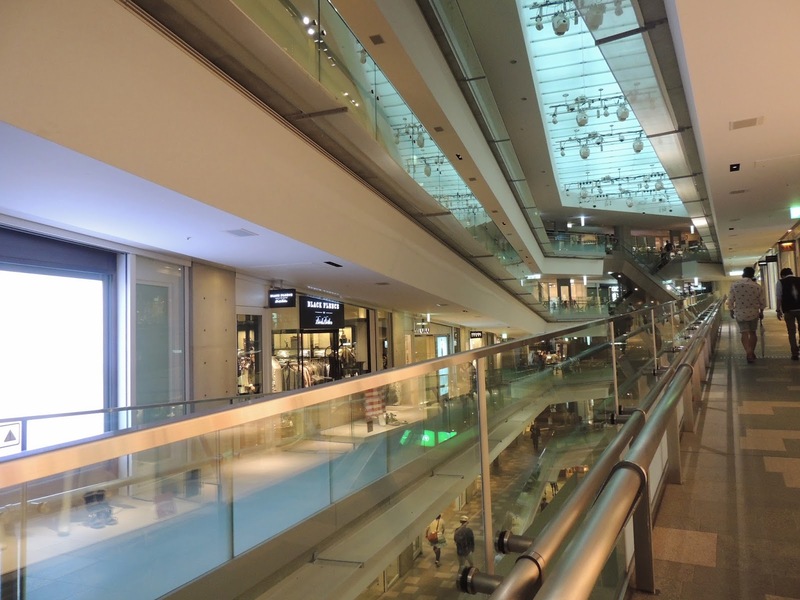 The stores inside Omotesando Hills aren’t on a slope though (if you look carefully, there is a platform on the right side which raises the store to even ground), because it would be quite hazardous for the customers to have racks of clothes sliding and falling on them. 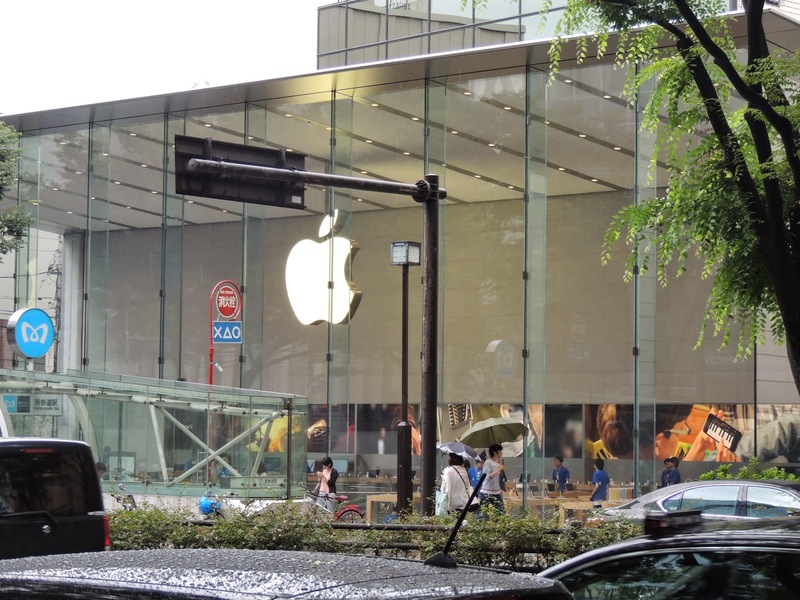 Apple Store at Omotesando: Standing among buildings of fancy design, the Apple Store is meant to give a clean and simple look, similar to the surface of a Mac. By being simple, it stands out on the street, like a silent person in a noisy crowd. 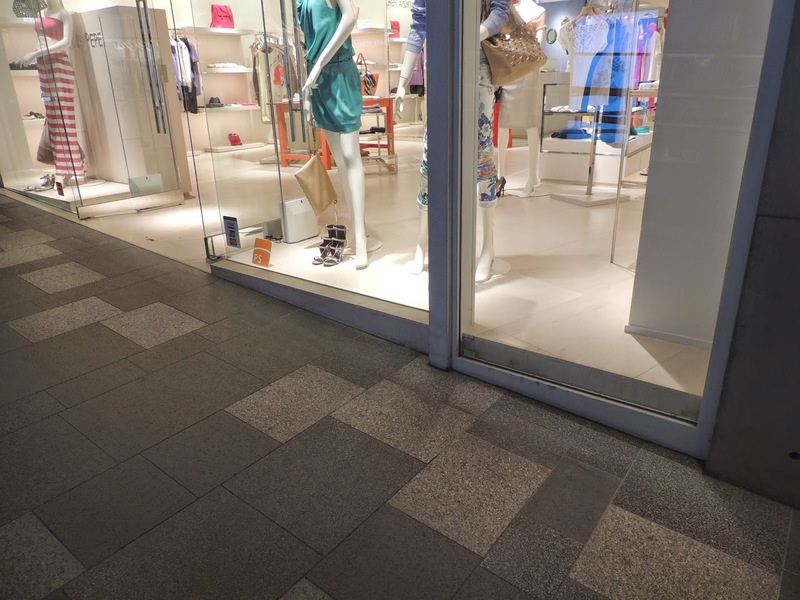 The store on the inside is very spacious and the products are placed far from each other. Paul Stuart: This store’s building is traditional on the bottom (notice the grey bricks) and modern from the second floor up. 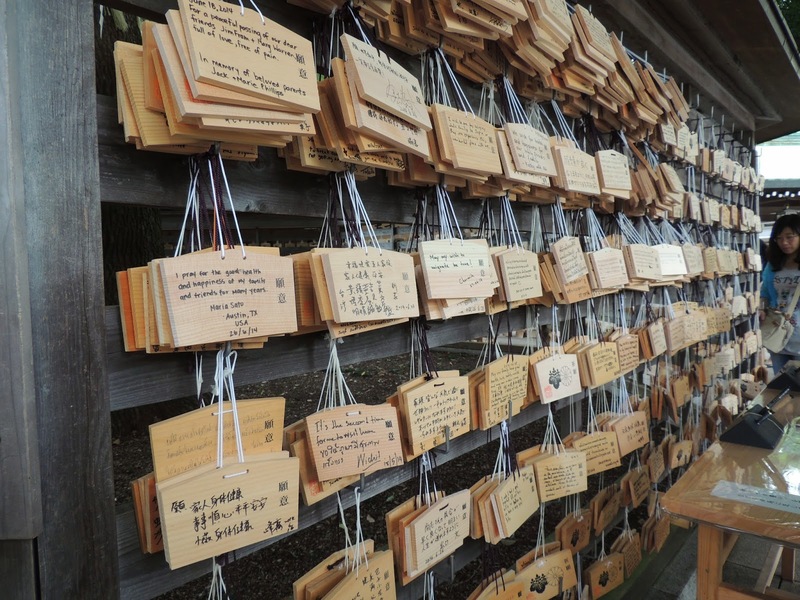 It signifies the building of modern design on top of a traditional foundation. Louis Vuitton: the building looks like suitcases stacked on top of each other. Suitcases are one of LV’s main products.